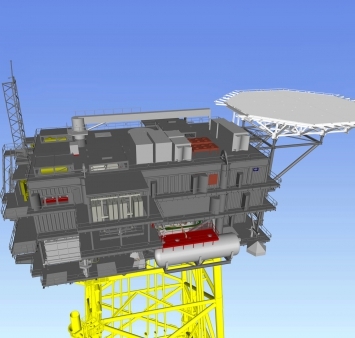 The joint venture ENGIE Fabricom-Tractebel and Iemants, was awarded the contract for the engineering, procurement, construction, testing and commissioning of the substation and jacket for the “Merkur Offshore” wind farm. Iemants is responsible for the basic and detailed engineering, procurement, fabrication and corrosion protection of the steel constructions for the topside and the jacket. The construction of this project, funded by a consortium of five sponsors (DEME Concessions Wind, Partners Group, InfraRed Capital Partners, GE Energy Financial Services and ADEME) will be entrusted to GeoSea, DEME’s specialist in complex offshore marine engineering projects, as turnkey contractor. This farm will be one of Germany's largest wind farms in the North Sea, contributing significantly to the country’s energy transition plans.